Would you like to have a new grill to use when cooking food outside to have for a football game? Buying one that is new will not be inexpensive, even if it just uses charcoal. 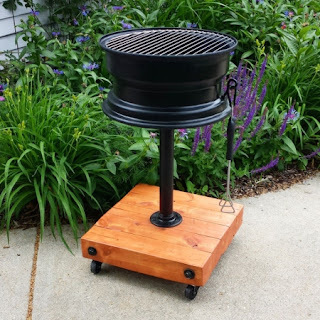 What you may want to do is make a simple DIY Car Rim Grill as a weekend project. Making a Diy Car Rim grill will not be difficult to do. The hardest part of the project will likely be finding a metal or steel tire rim. You can often find all types of tire rims pretty cheap at a local junk yard or scrap yard. Once you have a rim, it will need to be cleaned and painted.